Luke discovered the joy of cycling when he realised that his school's PE teachers never seemed to take a register for the two-hour Wednesday afternoon games slot. 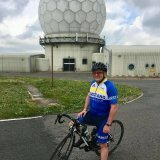 Having conquered all the major climbs in south-east Essex and moved to Lancashire, he started time-trialling two years ago and firmly intends to keep going until he is old enough to win his age category. Perhaps at the age of 95. When not cycling, Luke can be found singing bass with a barbershop harmony chorus or arguing with random strangers on the internet. Fun fact: Luke is the first chair of Garstang Cycling Club not to have the word 'Philip' on his birth certificate. Mick returned to cycling in 2014 after several decades of being a couch potato. His principle interest is social cycling and the health benefits that accrue at every level of this activity. 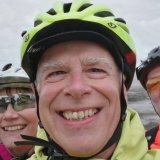 Currently a British Cycling trained Ride Leader and a Sustrans Volunteer, Mick works for the Forestry Commission in Grizedale, Cumbria, and is a lover of all things outdoors. Mick handles the clubs admin end. Steve started cycling many years ago but only seriously since retiring, and rides regularly with the B2 group. He deals with the club finances and is the person to contact regarding payment of your membership fee. Shane lives in Morecambe, A recent addition to the committee, Shane also plans each quarter's ride calendar. 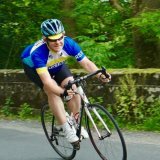 He is also a British Cycling qualified Ride Leader which involves leading rides for people new to cycling and more experienced riders. Shane also manages the website.